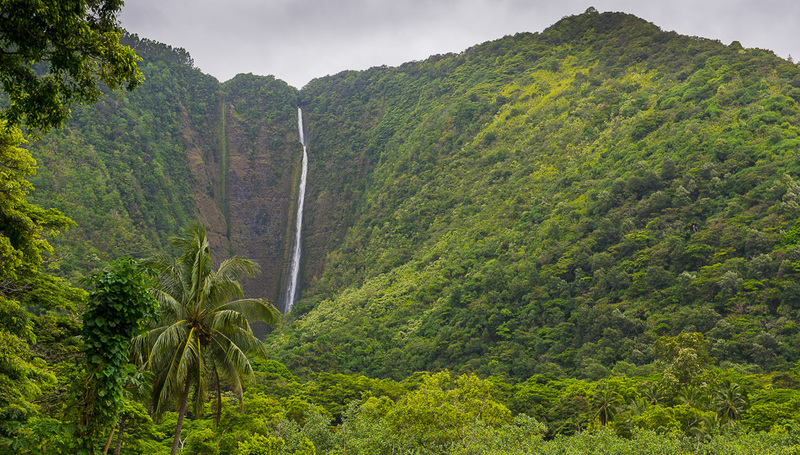 One of the tallest waterfalls in all of Hawaii, the falls at Hi’ilawe stretch over 1,400 feet. 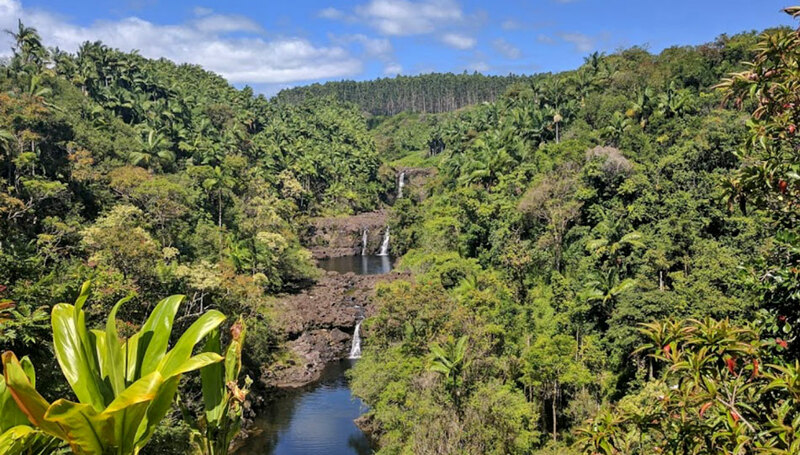 It’s possible to view the falls by hiking or using a four wheel drive vehicle to descend into the Waipi’o Valley, but a van or horseback riding tour of the valley will take you much closer to the falls since they are on private property. 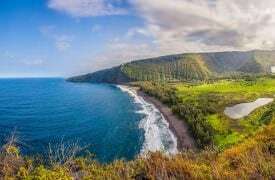 The waterfall may not be flowing if it has not rained recently, so you may want to make sure it is flowing before taking the trek into the valley unless you were planning to go anyway for the beautiful black sand beach and scenic views. 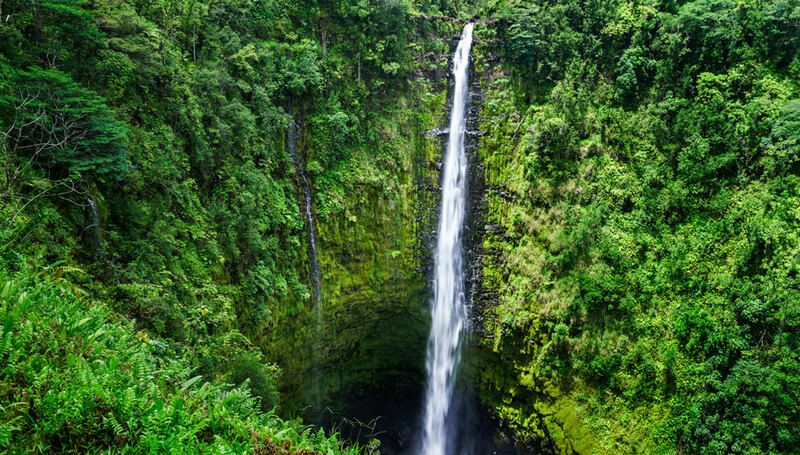 A mesmerizing 422 foot waterfall, ‘Akaka Falls is contained within ‘Akaka Falls State Park north of Hilo. Easy to access and an incredible photo opportunity, visitors can access the park for $5 per vehicle or $1 per person. With just a short 20-30 minute walk on a paved trail through a section of rainforest teeming with orchids, ferns, and bamboo, you’ll be up to the falls in no time. There is also a chance to see the smaller Kahuna Falls on this 0.4 mile loop trail and who can resist two for one waterfalls? 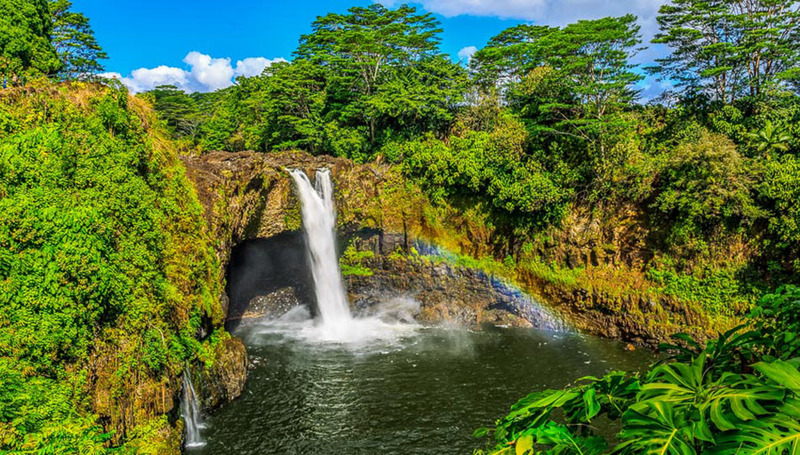 Rainbow Falls is actually located within Hilo itself, making it an easy destination after breakfast. Getting its name from the effect that occurs after a rainstorm, Rainbow Falls projects a colorful rainbow in the mists of its waters in the cove below. Viewing is best in the first half of the day due to a better angle for the light hitting the water. This falls is heavily trafficked because it is so accessible so try to go at less busy times like early morning. 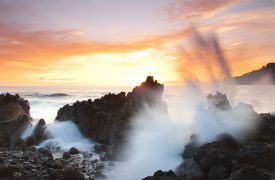 For the history buffs, there are a couple of interesting historical signs at the observation platform telling about the history of Rainbow Falls and the legend of the “Battle of the Wailuku River”. 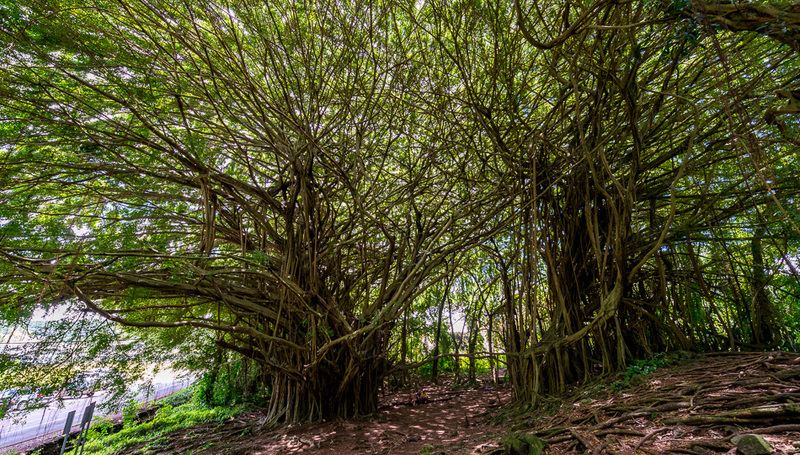 There’s also a trail to the left of the Rainbow Falls viewing area that takes you through the forest and by one of the largest banyan trees in the world before setting you up above these famous Hilo waterfalls. Swimming above the falls is dangerous and we don’t recommend it. Also do not cross the river if it’s raining as it can quickly flood and become impassable, leaving you stranded or worse, washing you over the falls. Three waterfalls within close proximity of one another on the Umauma River make up Umauma Falls, a stretch of waterway about 16 miles north of Hilo. An incredible sight that’s even been depicted in several Hollywood films, the water below the first waterfall is actually swimmable. Unfortunately, Umauma Falls are on private property and access is restricted except for those who pay through Umauma Experience. Access costs $10 per person or is included in the company’s waterfalls tour, which we’d highly recommend. 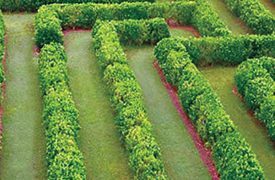 in historic downtown Hilo you will find the beautiful Lili'uokalani Gardens, the largest, authentic Edo-style ornamental garden outside of Japan.